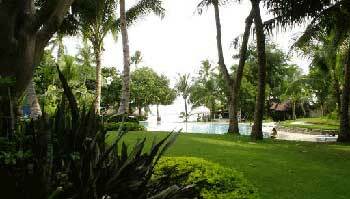 Mactan Island is beautiful island of Cebu, Philippines. The journey by plane from Manila will take around 1 hour. This is the main reason why the place is commonly known as "The Pearl of the South". Not only does the island is easily accessible by its International Mactan Airport (2nd busiest airport in Philippines), it also boasts world class 5 star resorts and hotels. Cebu Cty is just a short drive away. Mandaue is also easily accessible across either of the 2 bridges which connect to the island. One of the activities which one should not miss while travelling to Mactan Island is Sea Trekking as shown in the video above. 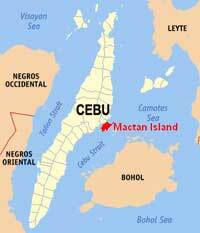 Mactan is also the area where the Battle of Mactan takes place. Being the first battle between native Filipinos and Europeans in the year 1521, the famous explorer Ferdinand Magellan died at the hands of a tribesmen under the local chieftain Lapu-Lapu, for whom Lapu-Lapu City was named.